Storage-Gerber Moving & Storage, Inc.
Home / Services, Storage & Supplies / Storage-Gerber Moving & Storage, Inc.
Customers may need items stored while they wait for their new home to be available, or they may need to store items indefinitely. Either way, Gerber Moving & Storage can meet your needs. We own and operate a 72,000-sq. ft. modern, containerized facility for temporary and long term use. There’s another bonus: Your first month is free! Government-approved warehouse— Gerber meets stringent financial requirements (reviewed annually) and security measures in its storage facility. Modern containers—Large containers keep your goods clean and separated from those of other customers. Separate upholstery rack—All upholstered items are shrink-wrapped to prevent dust and mold from damaging your furnishings. Security—24-hour monitored security system provides peace of mind. Fire protection—Fire detection system and sprinkler system protect your goods. 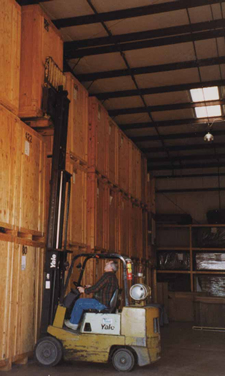 Loading areas—Indoor loading and unloading areas for maximum convenience. 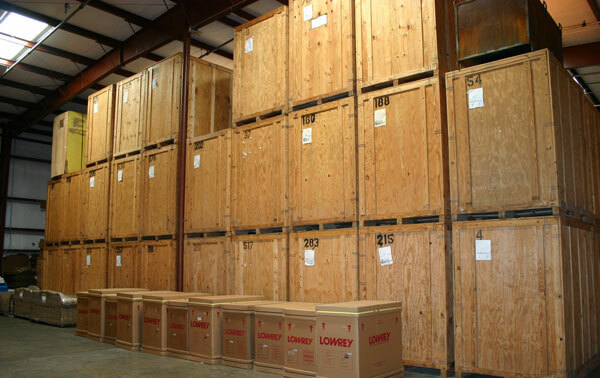 Private, clean, secure, palletized containers—Containerized storage helps ensure that while being stored, your goods and furnishings will be maintained in their pre-storage condition.